Has a virus ever taken your computer down? If not, count yourself among the lucky few. But don’t wait until it does – it’s time to protect yourself. 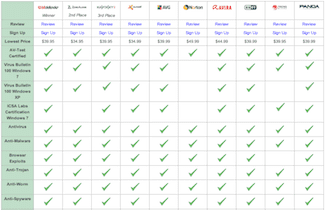 But how do you decide which is the best antivirus software? The antivirus market is a crowded space, and rightfully so. There are millions of computers and other devices that get infected by viruses every year, and cleaning them up is a big business. Check out our in-depth anti-virus and cybersecurity reviews (including recommendations for best antivirus programs for specific needs like gaming and fast run speed), pros and cons comparisons and our picks for the top 3 winners for best antivirus software provider. We also provide pros and cons so that you can dig deeper to find which cyber security package suits your needs best. In fact, we will even go beyond our picks for the best overall program to also recommend the best if you have unique needs to protect yourself while gaming, hanging out on Facebook or Pinterest or doing basic web browsing. Whether you are looking to clean up an infected computer or maintain a healthy one, we have everything you need to make an informed decision. Since our antivirus comparison table is so large, we are placing it on a separate page so you can reference it more easily. Please visit our antivirus software comparison table to help you pick an antivirus program that meets your cyber security needs, we have compiled a comparison table that focuses on the main features of each program, pricing details, along with pros and cons. View details on antivirus programs we review in this article. We will do our best to continue to add to this table as we find more contenders, and update existing software as they add new features. What’s the best antivirus software in 2019? Below you’ll find our 2019 top picks for Best Antivirus services based on a variety of factors ranging from price to features, needs, reliability and customer service. Bitdefender is our 1st place winner for the best antivirus software program in 2019 and for the past five years running. They seamlessly keep you and your computer actively safe from harm, no matter whether you are on the Internet, playing on social media or instant messenger, reading email, or using USB drives or other plugged in devices such as mobile phones, tablets, and camera cards. It is the best cyber safety service out there today. And you won’t even need to think about it while this program runs silently in the background, keeping you safe from viruses, malware and other computer security concerns. But don’t just take our word for it, Bitdefender has passed every independent lab test it has been given and exceeded expectations every year. Bitdefender offers a Mac and PC version, both starting at $39.95 for one user for one year. Runs seamlessly in the background without compromising speed and performance. Virtualized Browser isolates from operating system to block threats. Stops 100% of undiscovered attacks, AV-Test 2014. Autopilot makes optimal decisions without user input. Protects against all known current sources of harm (Internet, email, instant messenger, social media, USB inputs, etc.). Full range of antivirus protection tools. Default firewall settings omit some protections. Can be difficult to install on malware infested systems. Increases boot and shutdown time. Visit our in-depth Bitdefender review to dig deeper into why we chose Bitdefender as our antivirus winner. Kaspersky is making its way up in our ranking hitting our 2nd place spot for 2019. With amazing results from AV-Test including high scores in computer protection and performance, we are confident that you will be able to feel secure with Kaspersky Antivirus installed. Mac version costs $39.95 for one computer for one year, the same price goes for a PC. One of the Top 50 Most Innovative Companies from Fast Company magazine. System Watcher: Detects dangerous behavior and allow you to roll back malicious actions. Automatic Exploit Prevention: Prevents exploitation of vulnerabilities by controlling, analyzing and restricting the actions and behavior of applications. Reduced Battery Drain: When a laptop switches to battery power, Kaspersky automatically reduces the usage of resources. Offers a full line of anti-virus protection tools. Social media is not really a focus area for them, despite the vast amount of time consumers are spending on it. Low detection rate compared to others. Visit our in-depth Kaspersky Review. Panda features the award-winning Collective Intelligence technology where all Panda Security users share threat information to provide real-time protection. Panda strives on providing superior computer protection while having a minimal impact on your computer. They made a big jump in our update this year coming up from 12th place. What holds them back from moving up to 1st or 2nd is the fact that they only offer support via email and the installation process is quite lengthy. Panda’s Mac version costs $49.99 for one Mac for one year while a PC costs $39.99. Collective Intelligence allows maximum protection with minimum impact on your PC. Stops 100% of undiscovered attacks and 0 false positives, AV-Test 2014. If you just found your computer is infected, then you want to get it cleaned quickly to avoid any further issues. Bitdefender can help! This service scores high marks from us for malware removal, blocking and rootkit tests. It is also fast to download, easy to install and will help you quickly figure out and clean up the problem. They also are known for having great customer service so if you do run into any problems with getting rid of those pesky computer viruses, a quick call will set you on the right track to a clean computer for today and to keep you protected against potential future issues. Avast is by far the lightest and most popular antivirus system when it comes to this category. Do a quick Google search and you’ll see the rants going on and on about it. Avast has impressive memory usage and during scans it flushes every 10 seconds which keeps its usage at a low-level. Avast has low system requirements and does not slow down your system. This allows your computer to continue running at full speed so that you never even notice it is quietly keeping your computer safe from any potential intrusion activities while you surf the internet, watch videos, prepare presentations, analyze vast amounts of data, read emails and more. All of these activities take up a great deal of memory on your hard drive so it is important to have a protection system that works hard without you even noticing what it takes to keep you safe. Kaspersky offers free support via email, chat, forum and telephone. They have an A+ rating on the BBB as well. This is exceptional because some of its competitors charge a fee for customer support or have F ratings for the BBB. Their success in this industry is due partly to their experience with customer satisfaction and being available to help when needed. You will need great customer support if you run into any questions when installing the program upfront, updating the service overtime as viruses and protection needs evolve and especially if you run into any issues that you need to repair. Bitdefender, like many other antivirus providers, has a gaming mode but they specialize in this area for the serious gamer. In fact, there is no need to shut down the firewall with Bitdefender, a common practice for gamers to allow the video or computer games to run smoothly, because you just set it to gamer mode and you have full protection without impact on game play. With most other programs, you have to turn off the firewall for good game performance which leaves your computer wide open to viruses and other troublesome intrusions and harm. We do want to point out that Kaspersky put up a great fight for this title. Norton has social network monitoring to ensure your safety on social media sites. Norton has Facebook link scanning to make Facebook as safe as possible for you. To ensure your social media interactions are secure, Norton provides protection during all your social networking interactions. Many other softwares have some type of social networking protection, but none compare to Norton. Do you already have an antivirus solution in mind and don’t see it listed here? Leave a comment below with the name of the product you’d like reviewed. Avast is one of the few providers that provides a solid free antivirus version of their software. That is called avast! Free Antivirus. When it comes to features, Avast Pro has everything you could ask for and more. And, regardless of the Windows operating system you run, Avast will run smoothly in the background without sacrificing performance. It is the most commonly chosen anti-virus software with over 200 million active users. Avast offers a free Mac version that includes file system protection, protection from email, protection against infected websites, web reputation system and drag and drop file scanning. Avast Pro starts at $34.99 for one computer for a year. There is a FREE version that you can trial to see if you like it before upgrading to the highly esteemed Pro mode. Free 60-day trial for avast! Pro. Streaming, real-time virus database updates. AutoSandbox feature that automatically allows untrusted programs to run without fear of harm. WebRep - proactively scans links and provides color-coded ratings for security reputation on Internet search results. SafeZone – secures sensitive transactions like banking data (Pro version only). Annoying pop-up ads trying to sell you an avast! product. Sometimes updates at times when you need the full bandwidth. Pushy when it comes to getting you to upgrade to the paid version. 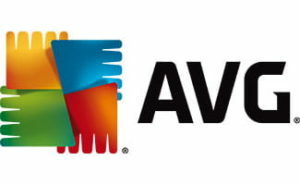 AVG is an antivirus solution that has experienced high growth over the past few years. AVG prides itself on being one step ahead of the competition by employing some of the world’s leading experts in threat detection. More than 187 million people use AVG. AVG also has free Mac versions, one that keeps your computer running light and the other protects your Mac from any unwanted viruses. AVG Antivirus 2014 starts at $39.99 for one computer for a year. Multi-layered technologies to provide users with peace of mind. Free trial before you have to buy. Link Protection – checks links before you click on them. Online Shield – protects you from harmful downloads. Data Safe – encrypts and password protects private files. Free mobile protection for Android. Low detection rate for the free version of their software. Slow antivirus updates and scans. Some users find it causes issues with their computer after they install. Avira has more than 306 million global installations and they offer an affordable, trustworthy antivirus alternative. Avira has an array of antivirus protection tools and has performed very well in lab tests. Avira’s free Mac version includes an award-winning malware detection that will help keep your Mac clean from viruses. Avira starts at $44.99 for one computer for one year. Simple Interface and fast scans. Performs strongly in independent lab tests. Monitor your child's social media presence. Settings allow you to prevent notifications while gaming. In testing it proved to cause a slow system boot time. Takes a while to update. 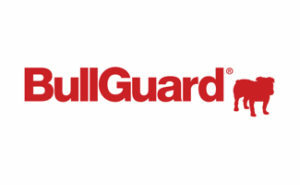 BullGuard may be a lesser-known antivirus program, but it is an affordable one with numerous certifications. Pricing for one PC for a year is $29.95. Bull Guard has great parental controls as well. 5GB of online backup storage. Parental controls are included in the program. Multiple protection layers to catch more viruses. Game mode for seamless game enjoyment without disabling the application. Need hours of tech support to install and scan Bullguard on a malware infested system. Spam filter marked valid mail as spam. According to our research, CyberDefender is no longer in business, so we have removed our review of them. 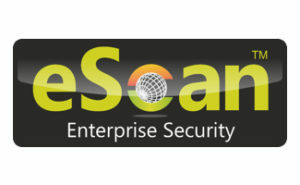 eScan is very affordable antivirus software, but it does not offer full web protection. However, if you are looking for a lightweight alternative, it really shines. eScan offers a Mac version starting at $29.95 for one computer for one year and the PC version starts at $22.45. eScan Toolkit stands out to users with 'strong' infections. 24/7 free online tech support. One of the lowest memory usage antivirus programs. Endpoint Security to block unauthorized applications. Above average malware detection rate. Does not offer full web protection. Below average malware removal and blocking scores. Slows email download time down. ESET is not the most affordable antivirus protection software, but it does offer a wide array of protection tools. Eset uses ‘ThreatSense’ technology to eliminate viruses, worms, trojans, rootkits and other malware. ESET offers a Mac version and a PC version both starting at $39.99 for one computer for one year. Light software with fast performance. Cloud-Enhanced Whitelisting for faster detection. Interface is not as user-friendly as some competitors. F-Secure offers powerful anti-virus protection without slowing down your computer. F-Secure handles all threats without disturbing the user. Their anti-virus for Mac costs $39.99 for one Mac for a year. PC pricing starts at $39.99 for three computers for a year. DeepGuard cloud computing technology ensures fast protection against new threats. A clean, easy to use interface. Malware cleanup fully integrated with Facebook. Game mode for a seamless gaming experience. Requires manual removal of certain viruses. Spam filter misses spam sometimes. G DATA has been in the business for 20 plus years and claims to have the best virus detection rates of all anti-virus products. G DATA offers a Mac version and charges $54.95 but is on sale for $39.95 for one Mac for a year. A PC is usually priced at $39.95 but is also on sale for $29.95 for one computer for a year. Idle Scan protection works in the background when the system is inactive. No social media integration that we can find. Missing the key features other competitors have. McAfee is an all-in-one antivirus solution that carries a big name. While some critics will point out that it can be sluggish on some machines, it also has some notable accolades. It won the Lowest False Positives Award in 2011 from AV-Comparatives. McAfee’s Mac version has a price of $79.99 for one Mac’s coverage for a year. Starting price for PC computers is $49.99 for one computer for one year but is currently on sale for $34.99. It can be a drain on system resources. Updates always require a system restart. Not great at cleaning up already infected computers. High rate of false positives. Microsoft Security Essentials is a completely free service for PCs. It has a fairly simple to use interface, but doesn’t always protect you from viruses, trojans, worms, etc. Our research shows there are better free services out there that can do a better job than Microsoft Security Essentials. Zero false detections on the AV Test. Not the best at malware blocking and removal. Only available for Windows 7 and Vista. Norman antivirus is now a part of AVG antivirus, so we’ve taken them off our list. Norton is one of the bigger names in antivirus software and has more than 175 million users. Their excellent customer support is a big selling point for them, which can be very valuable to many users. The Mac version costs $39.99 for one computer for a year while the PC version starts at $39.99. A well-known company name dedicated to securing and managing information. A wide variety of antivirus services. 7 time PC Mag Editor's Choice. For better anti-phishing protection you have to upgrade to Norton Internet Security. Could improve in the customer support area. Total Defense is an all in one security suite that provides easy to use protection against viruses, malware and spyware. Total Defense stands out with its comprehensive, multi-layered, cloud-based protection. Starting price for a PC is $49.99 for 3 computers for one year but is on sale for $29.99. Cloud Defense Scanner for more protection. Download Defender – scans all downloads immediately. Updates to the newest version automatically as long as you have a current subscription. Flags dangerous links on social networks. Tip: If you leave the window after you've pushed the buy button a chat window will pop up offering you 25% off. Available for Windows only (no Mac). Not the best test scores. Trend Micro is the recognized leader in cloud security. By focusing on the post-PC era, Trend Micro provides support across physical, virtual and cloud environments. Trend Micro offers a Mac version costing $24.95 (normally $39.95) for one Mac for one year. The PC version starts at $39.95 for one computer for one year. High performance in independent tests against the competition. Claims to have the best phishing detection rates. Does not provide a bootable rescue CD option. Slow boot times in independent testing. Difficult to install on infested computer. Marked valid programs as malicious. TrustPort is not well-known in the antivirus market and they do not offer some of the high-end features we have come to know from other competitors. PC pricing starts at $31.95 for one computer for a year. Application inspector is another layer of protection that runs in the background. Silent mode to prevent interruptions while gaming or watching movies. It lacks instant messaging protection. Some users report difficultly in removing malware that has been detected. No protection rating from AV-Test. VIPRE used new technologies that they custom-built to optimize PC performance. VIPRE performs very well in independent testing at detecting viruses and malware. Starting price is $39.99 for once computer for one year. Social Watch – Scans Facebook pages. Some users report having difficulties uninstalling. Many customers are angry about their experience with VIPRE. Webroot is an antivirus software that carries numerous certifications and is one of the fastest and lightest programs on the market. Webroot has more than 30 million users. The Mac version and the PC version are the same one, which is priced at $37.49 for three computers for a year. No conflicts with other security programs. Offers a product specifically for PC Gamers. Corporate blog provides a lot of researched insight into antivirus protection. No bootable rescue CD or automatic USB detection. Detects infected items as clean. Zone Alarm is best known for its one-of-a-kind two-way firewall which provides more security than most any system on the market. This firewall is used by every Fortune 100 Company today, making it a trusted choice for computer and online safety for both business and personal use. ZoneAlarm has more than 85 million users and offers some unique features including online storage, social media monitoring, parental controls, data encryption capabilities and identity protection services all included in its computer security suite. This is in addition to the more standard Internet security protection from spam, phishing, malware and credit rating damage. Pricing for three PCs for a year is $34.95. Download the base program for FREE to feel out the interface and decide if this program is for you. Advanced two-way Firewall for added protection. SocialGuard for monitoring kids activity on social networks. Large memory usage slows down computer run speed. Some users find the interface confusing. The number of different antivirus software choices on the market can be overwhelming. The first step in making this process easier is to identify the features that different software options provide and to make a list of the features that best suit your needs. For example, if you are a regular gamer, it may be important for you to find software that offers a gaming mode. So, let’s get started! Put together a list of your ‘must have’ features to narrow down your options, then find the anti-virus software that best fits your budget. And if it is important for you to have a real, live person available to answer your questions when they arise, then look to customer service reviews as well. Armed with all of this information, you are sure to make the best antivirus decision for your unique needs. What’s your favorite antivirus solution and why is it your favorite?